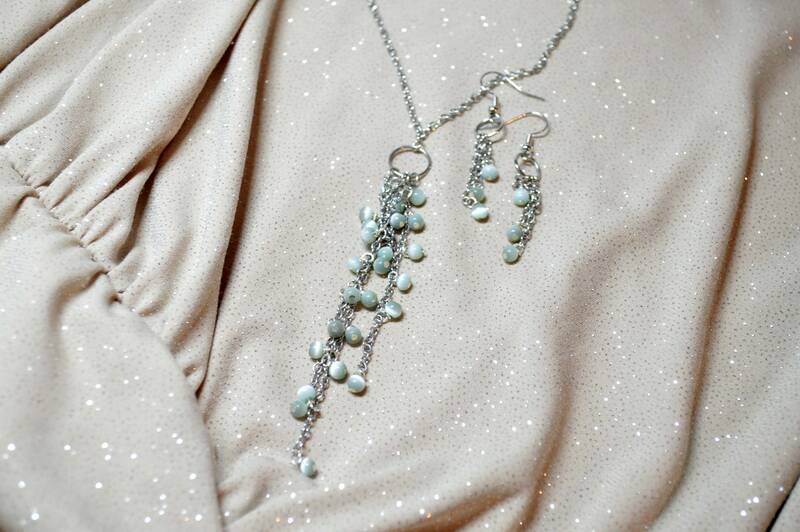 This gorgeous cascaded tassel jewelry set is our signature piece featuring green/gray cats eye beads. 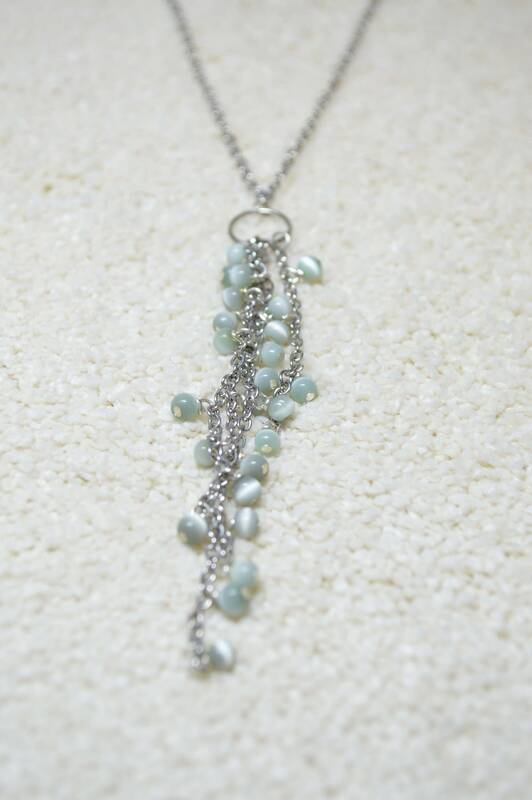 The necklace is made of handcrafted loops and measures approximately 3.5". 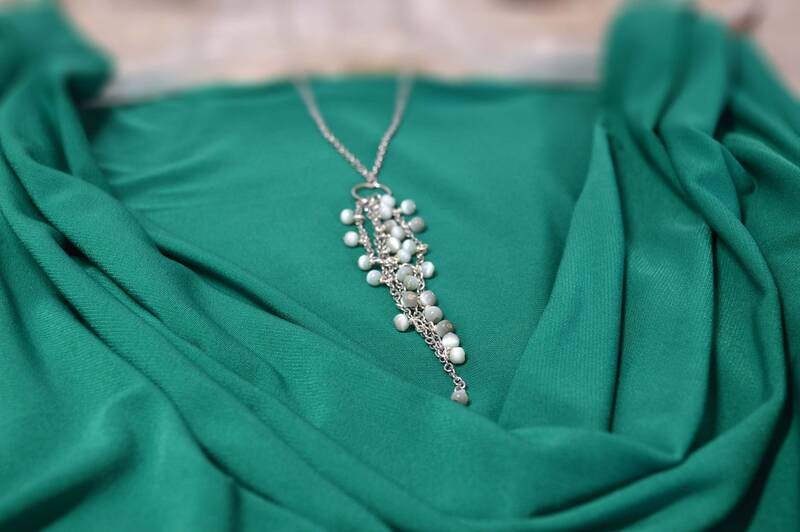 Its length is just the perfect one to wear with a low or high cut neckline. 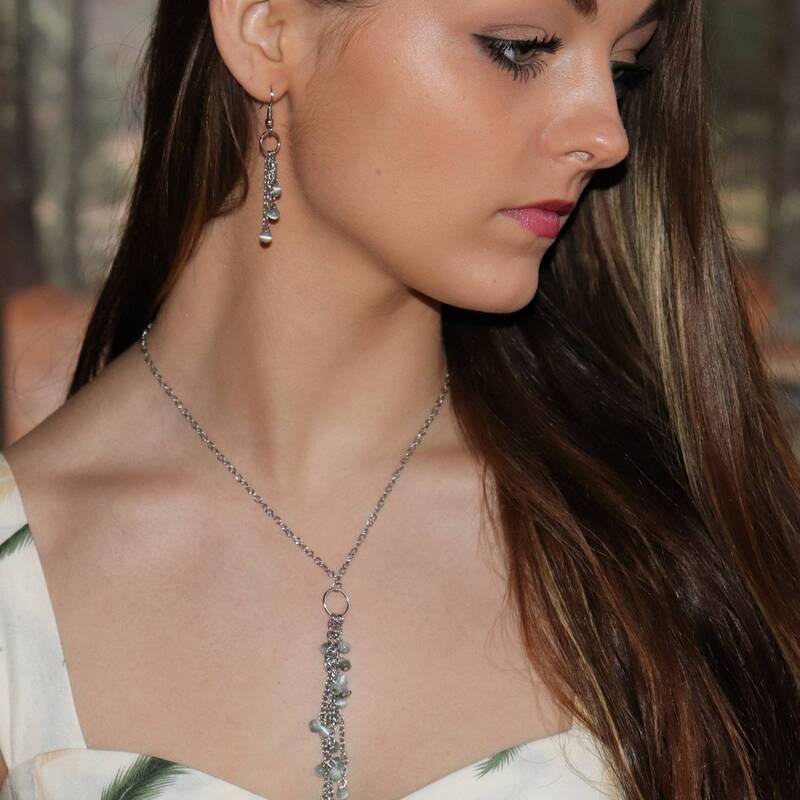 Its matching drop earrings makes a delicate and classic look, and is the right choice for your chic business outfit and perfect if you want to upgrade your casual look. 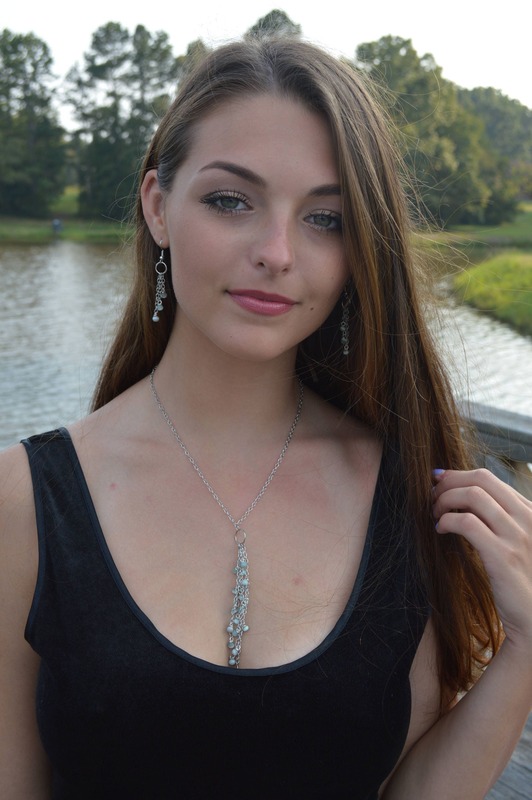 The earrings are very delicate, featuring 3 chains, each set with a matching color cats’ eye bead. 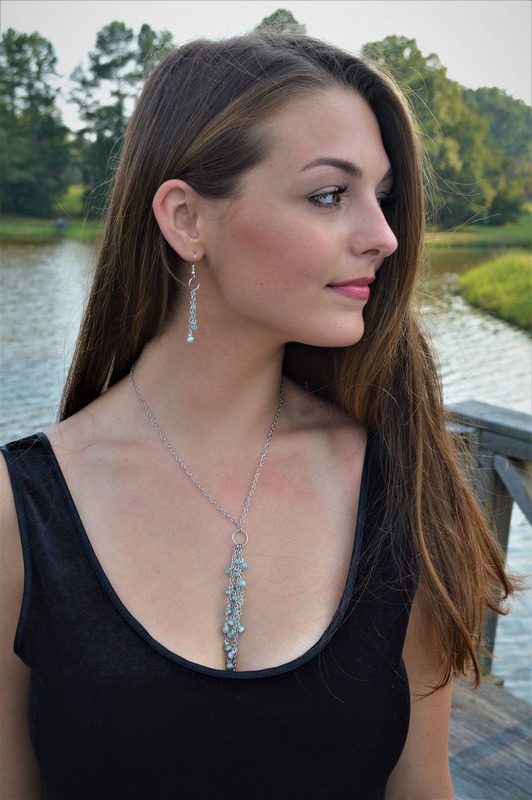 They measure approximately 1.5"
If you want the necklace or the earrings in a different length (maybe a longer fitting length) I can do that for you! Contact me and I will gladly assist. This makes a great gift idea too! These are so pretty! The designer was wearing them the last time I saw her, and I finally have the set now. They look great with my jeans.